The OpenROV Trident is an underwater drone that is being crowdfunded through Kickstarter. The funding campaign is still open, and at the time of this article, with another 42 days to go. Thats pretty amazing when you consider two things, they’ve already raised $466,107 and their initial fundraising goal was $50,000. At $1,199 retail, I’m sure OpenROV won’t be able to keep them in-stock. Once they start selling, I’m sure we will get to see new environments explored and filmed. OpenROV is now taking orders according to their press release, but I couldn’t find them in the OpenROV on-line store. 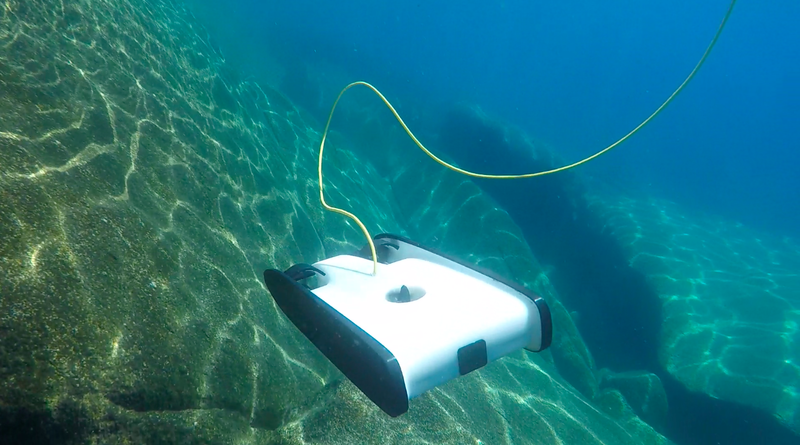 OpenROV launches Trident, an all-new, low-cost underwater consumer drone. Part of an ongoing mission to democratize ocean exploration, this model is simple enough to “plug in and go,” and capable enough to use for scientific research and serious exploration. Orders can be placed on Kickstarter starting today, September 14, 2015. 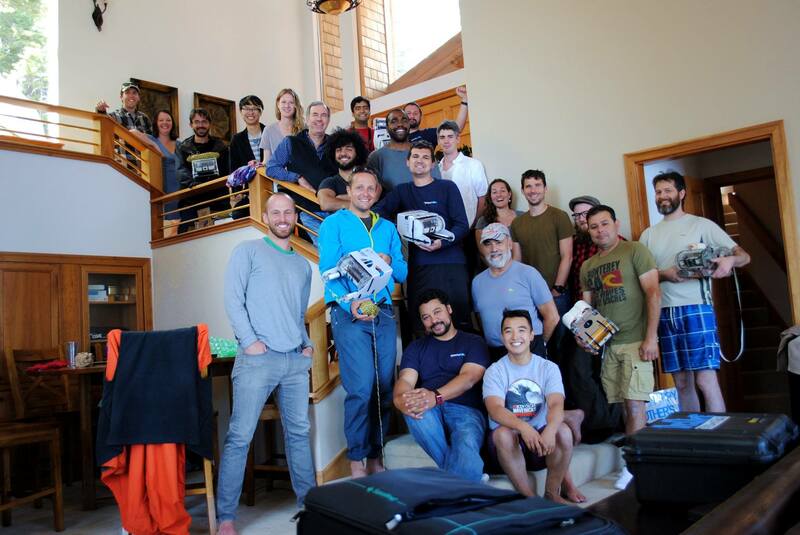 OpenROV has already established a rich community of makers, explorers, and ocean enthusiasts with its popular OpenROV kits. The company began in 2012 when co-founders Eric Stackpole and David Lang came up with the design for an expedition to find gold lost in an underwater cave. Noticing there weren’t any affordable underwater ROVs on the market, they realized that they were tapping into a burgeoning trend that enabled citizen explorers and scientists. Berkeley robotics company, OpenROV, releases Trident, a new affordable underwater drone. After four years designing and piloting underwater drones, we’ve taken everything we’ve learned and completely re-imagined what an underwater drone could be. Trident has a unique design that combines the versatility and control of an ROV (Remotely Operated Vehicle) and the efficiency of an AUV (Autonomous Underwater Vehicle). It can fly in long, straight survey lines called “transects” as well as perform delicate maneuvers in tight spaces, all while maintaining a sleek and powerful form factor. UPDATE: If you are curious to see some of the adventures had by OpenROV Trident’s then checkout OpenROV’s OpenExplorer. OpenROV is an open-source underwater robot. But it’s so much more. 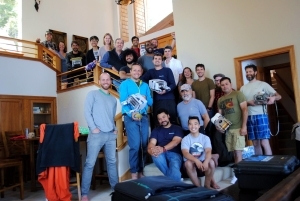 It’s also a community of people who are working together to create more accessible, affordable, and awesome tools for underwater exploration. The backbone of the project is the global community of DIY ocean explorers who are working, tinkering and improving the OpenROV design. The community ranges from professional ocean engineers to hobbyists, software developers to students. It’s a welcoming community and everyone’s feedback and input is valued. The project started in a garage in Cupertino, with a few guys who wanted to explore an underwater cave. After finding a global community of co-developers on Kickstarter, the project has evolved into a network of connected devices, exploring the oceans and lakes of the world.